Students at West Virginia Junior College – Charleston Campus know that their success is the faculty, staff and administration’s main priority. This is visible in the halls every day, but the lengths the Information Technology department takes to ensure students’ success might surprise people. As with every program offered at WVJC, sitting for certification exams is essential. The IT students have been diligently studying and preparing for their certifications. IT students prepare for the A+ certification and also the CISCO CCENT certification. Over the past few months students have been working with their on-site instructor, Tom Pinkerton, as well as the IT instructor at the Morgantown campus, Robin Addis. The students’ success rate has skyrocketed over the last few months. Two students, Justin Goff and Taylor Swanson have earned their CISCO CCENT certifications with extremely high scores- both in the high 900’s out of 1000. “I am very proud of my students’ success and their progress in the program. These students will make excellent IT professionals,” says IT Coordinator Tom Pinkerton. 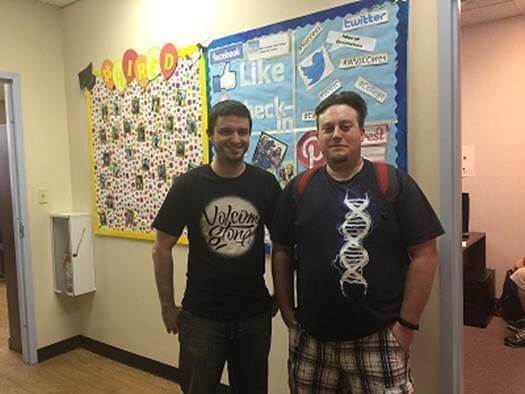 Not only are students in the IT program thriving with their certification exams, but they are also taking their classroom learning to new levels. Students are working on final productions and utilizing technology to take classes virtually if needed. 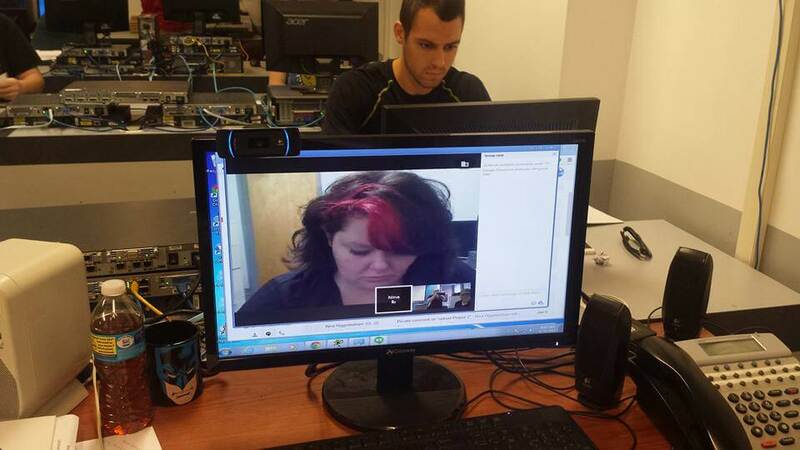 Charleston IT student, Nina Higginbotham, attends Ms. Robin Addis’ course in Morgantown via Google Hangout. The IT program is expanding and our students love the program! With passion, support and an education, success is possible. At WVJC Charleston we take our students’ goals seriously and work with students to help make their goals become a reality.